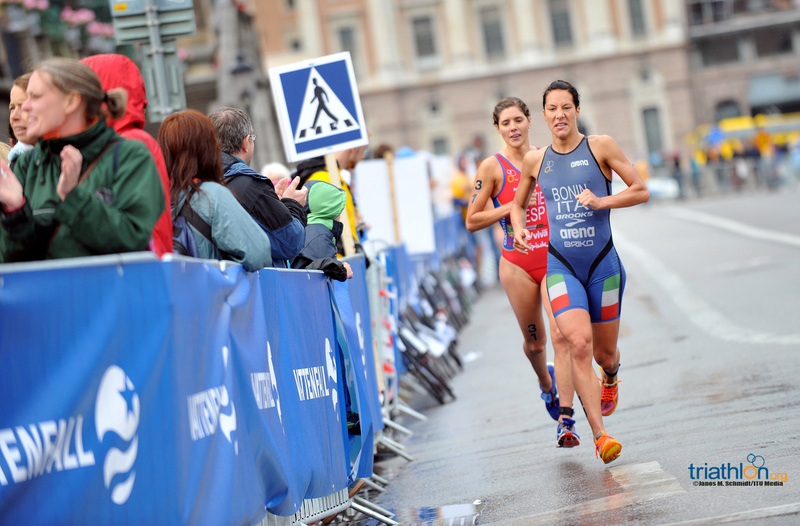 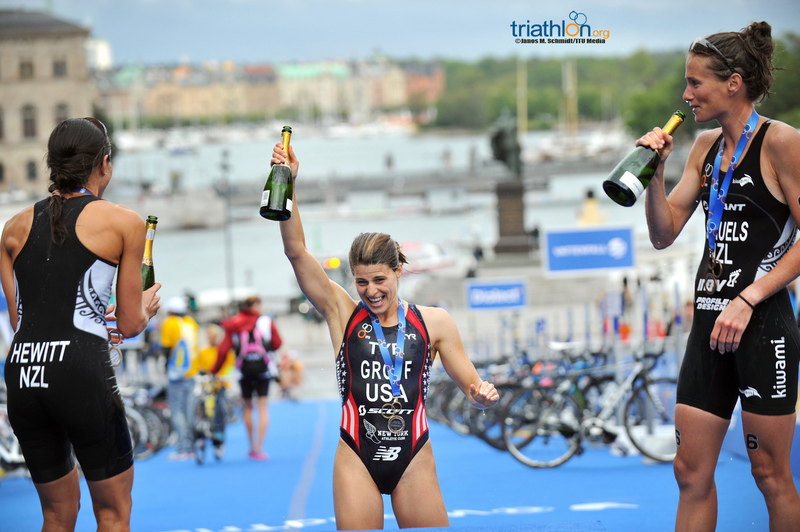 The USA’s Sarah Groff pulled off her first ever World Triathlon Series win just seven days ahead of the Edmonton Grand Final at the World Triathlon Stockholm. 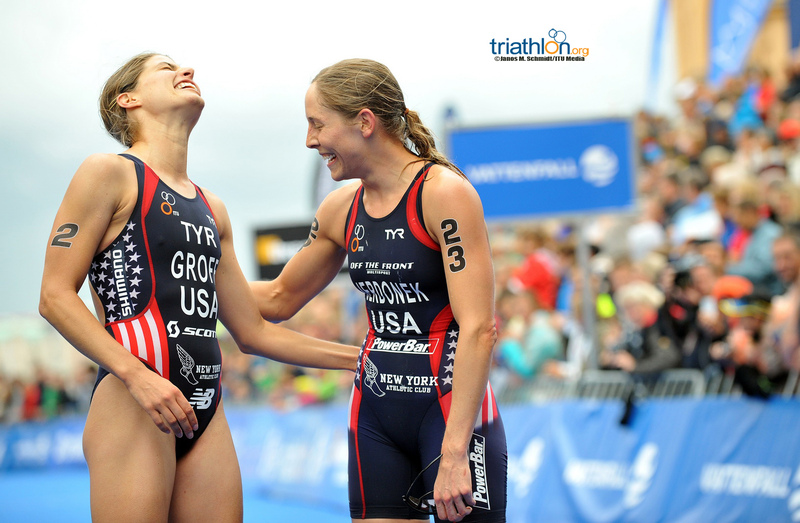 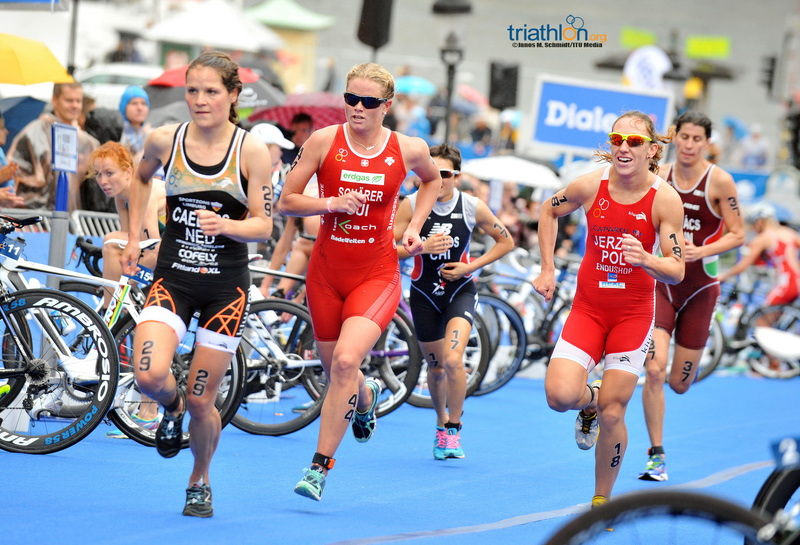 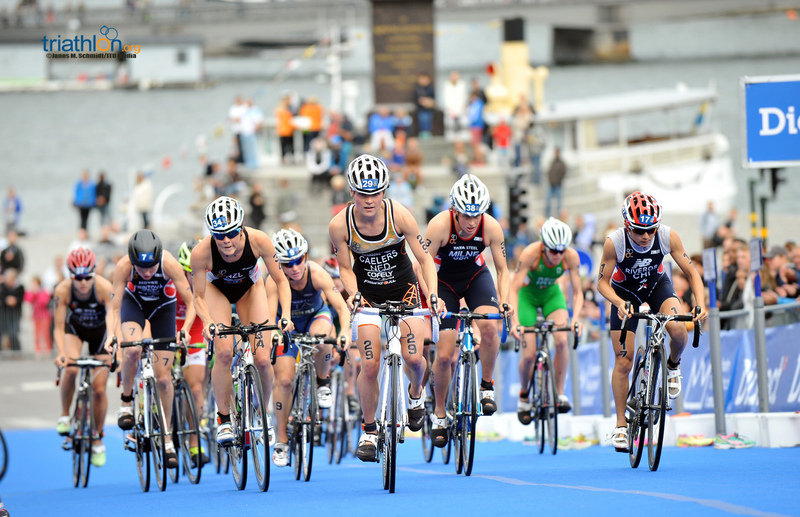 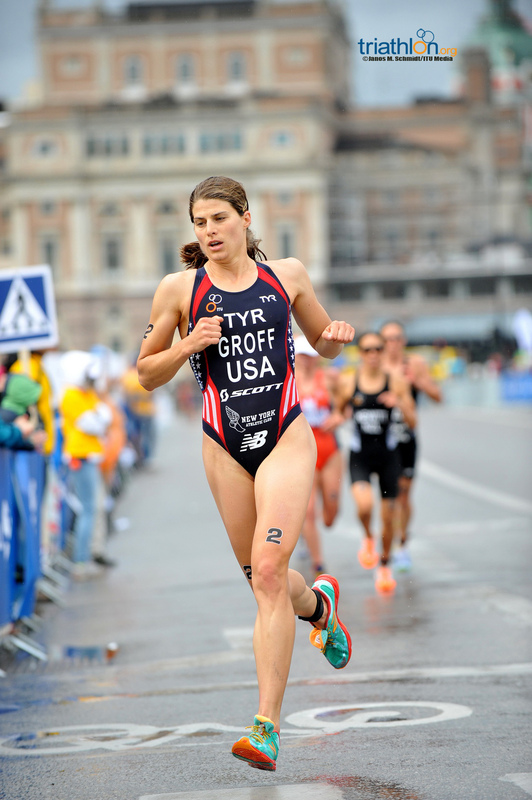 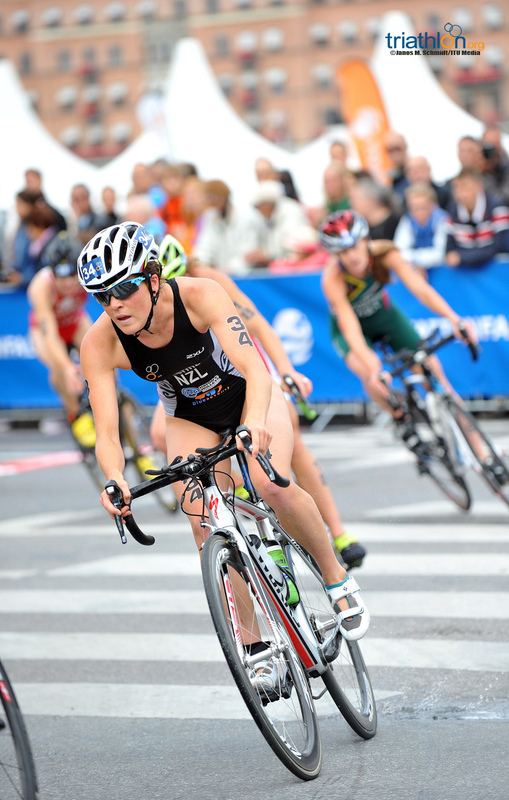 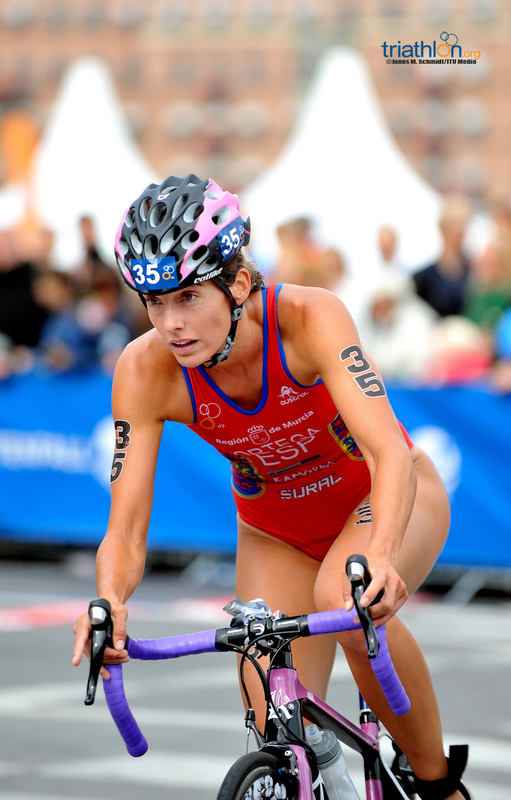 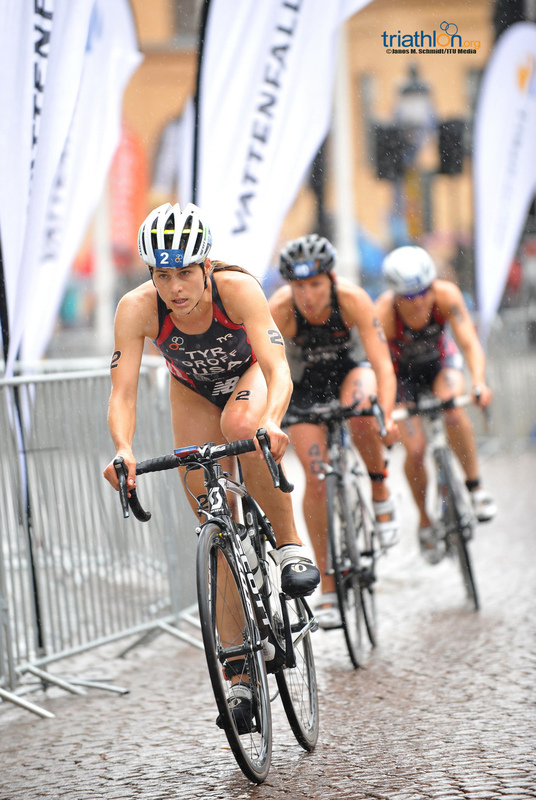 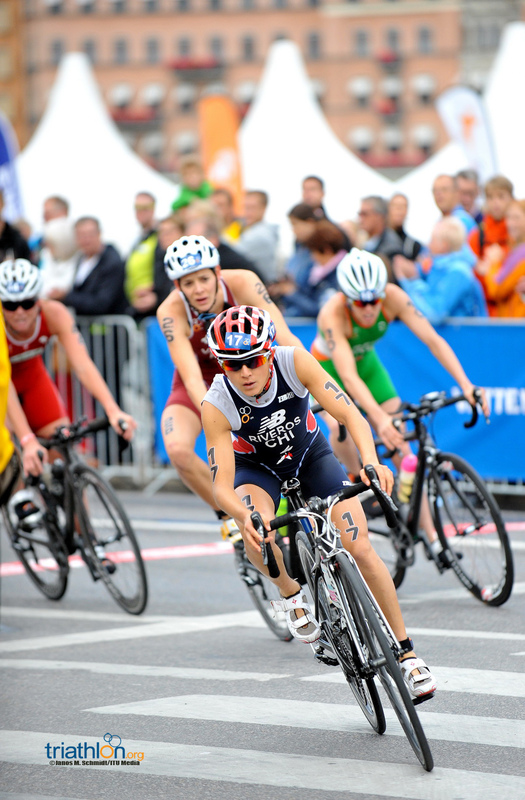 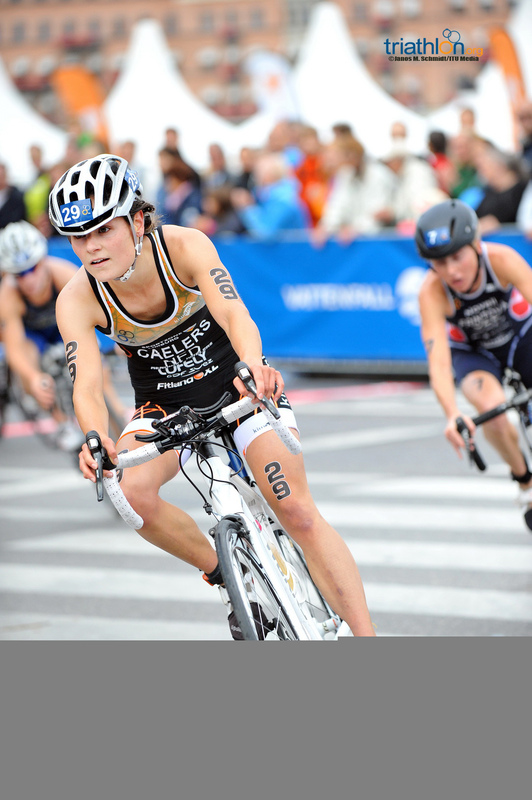 The win saw Groff jump from fifth to second in the rankings behind compatriot Gwen Jorgensen. 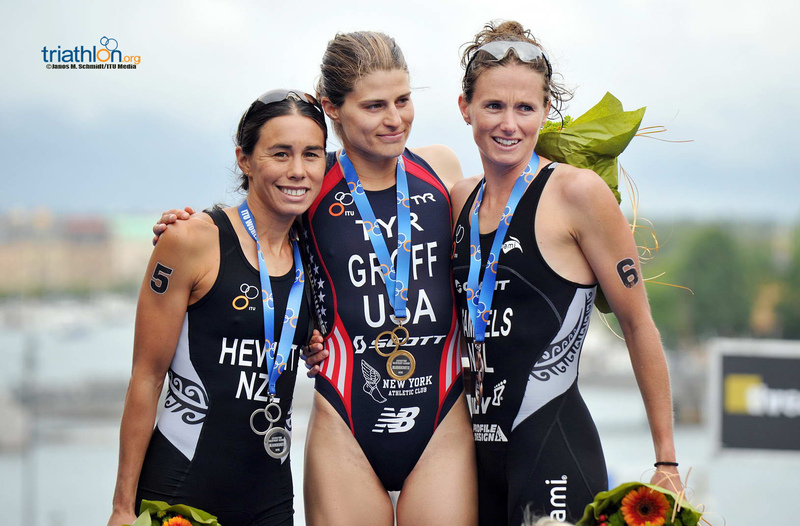 Behind Groff, New Zealand enjoyed a phenomenal race with Andrea Hewitt stepping on the podium for the first time this year in second next to teammate Nicky Samuels in third. 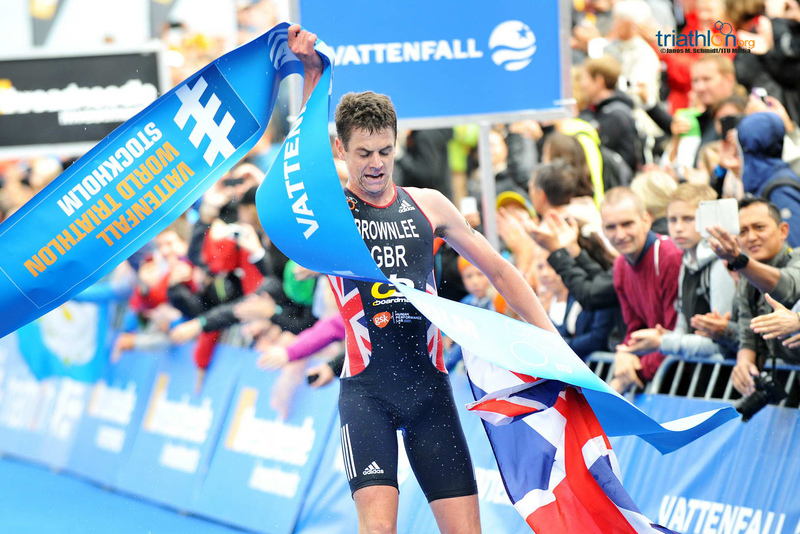 The bronze was Samuels’ first time making a WTS podium. 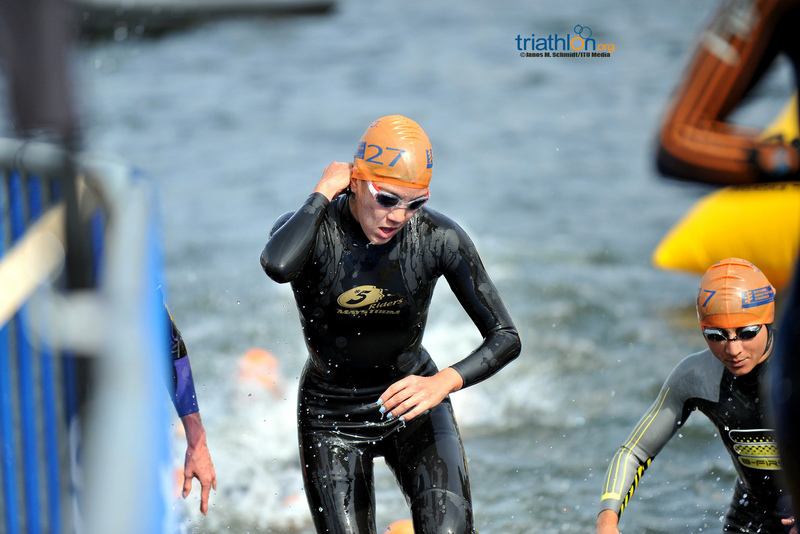 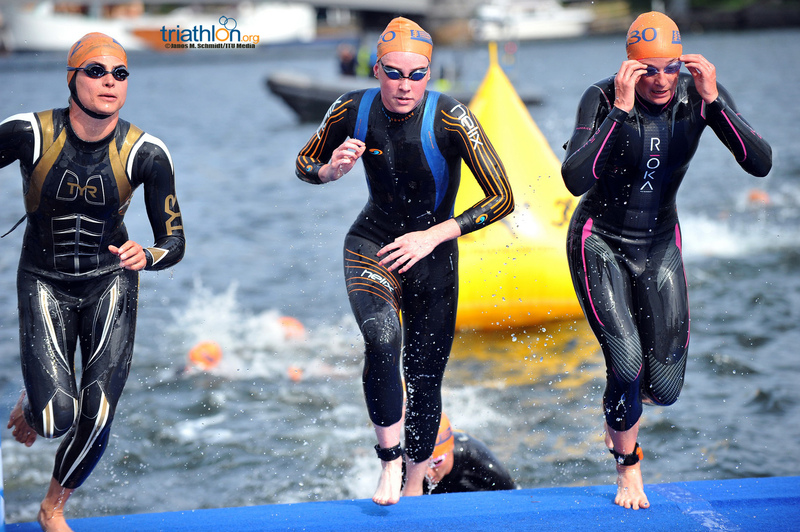 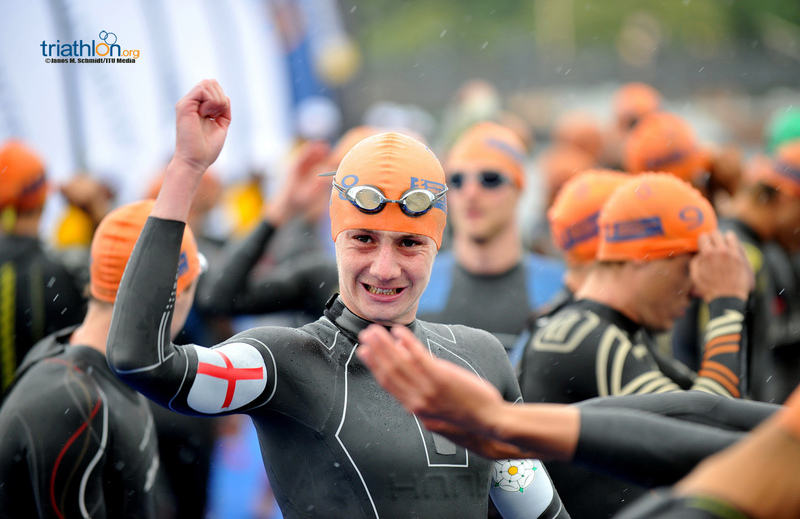 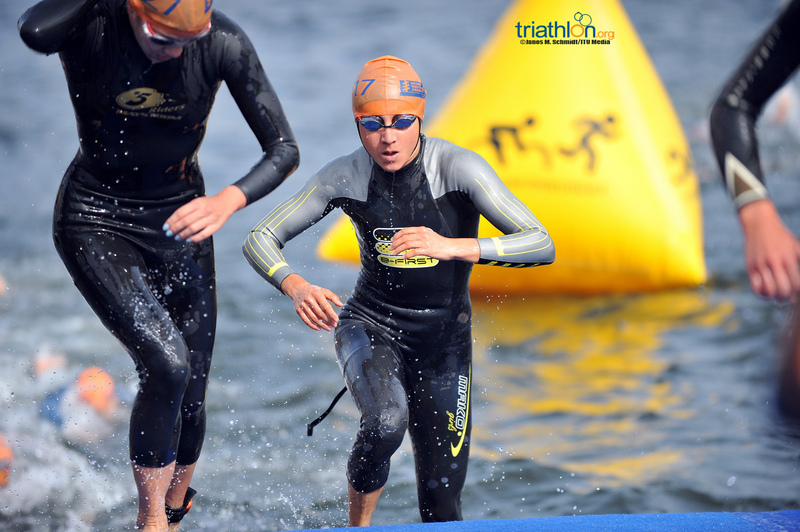 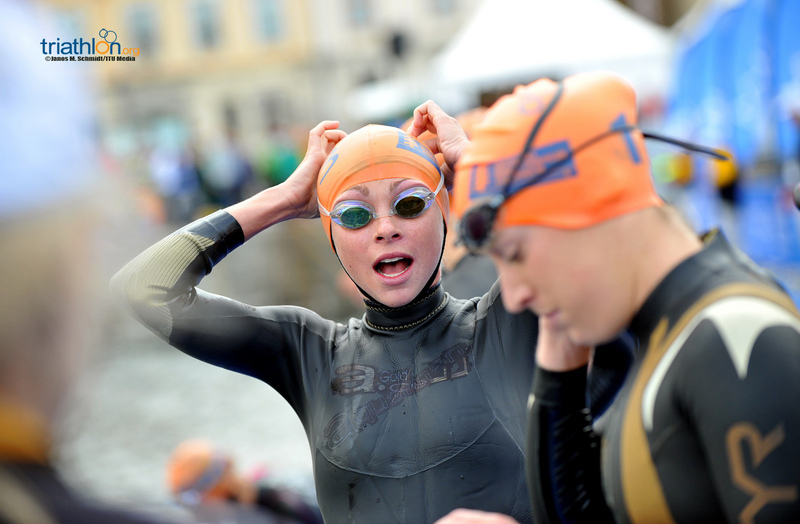 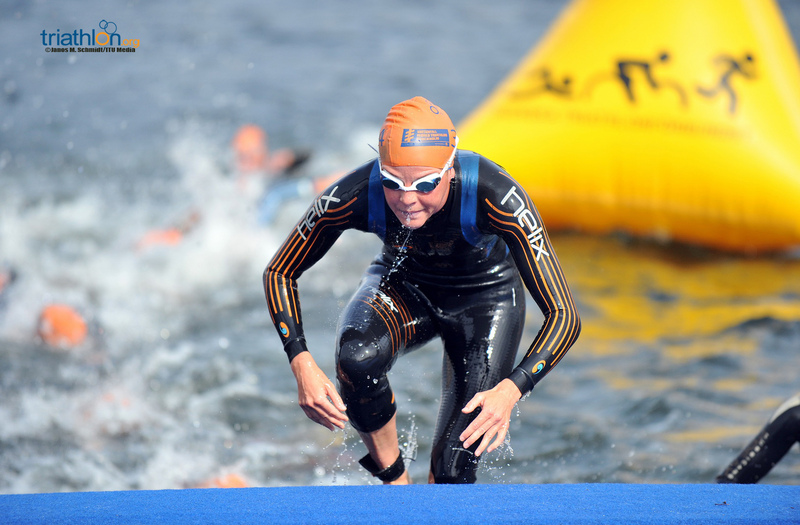 Starting with a chilly one-lap 750m swim, Groff asserted herself as a medal contender straight away when she positioned herself just behind Great Britain’s Lucy Hall. 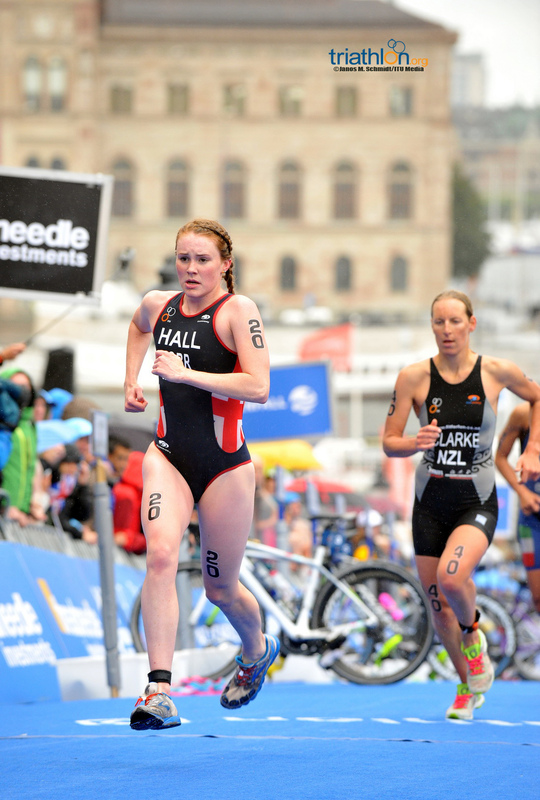 As the pack thinned out, Hall led the women out of the water and up the hill to transition. 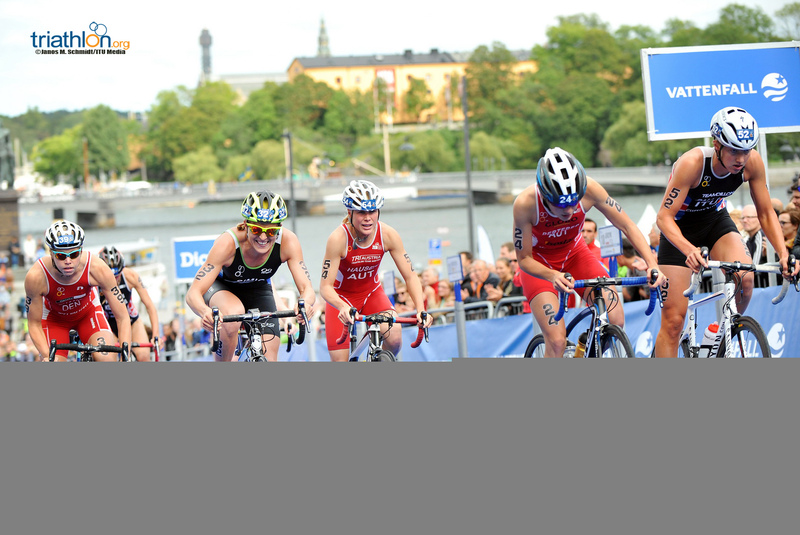 But it was Groff who crossed the mount line first, followed by a powerful pack of cyclists. 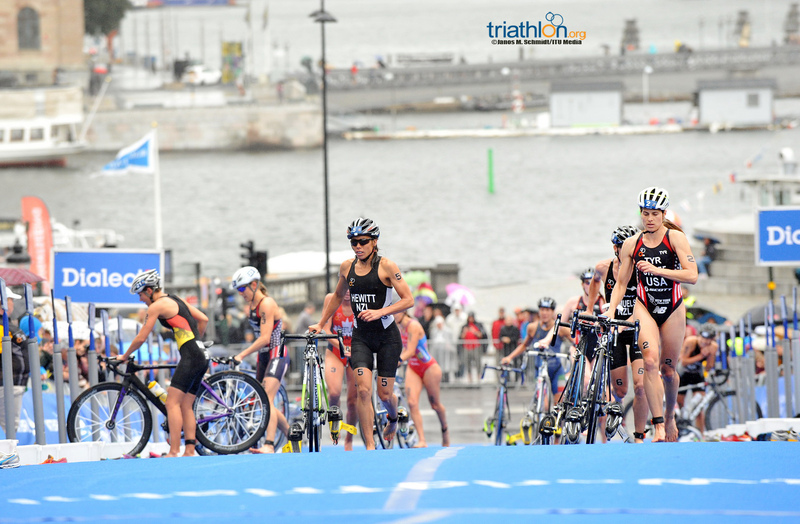 With another 10 riders in tow, the ladies set out to distance themselves from the field, which included Hewitt, Samuels, Kirsten Sweetland (CAN), and Lindsay Jerdonek (USA) amongst others. 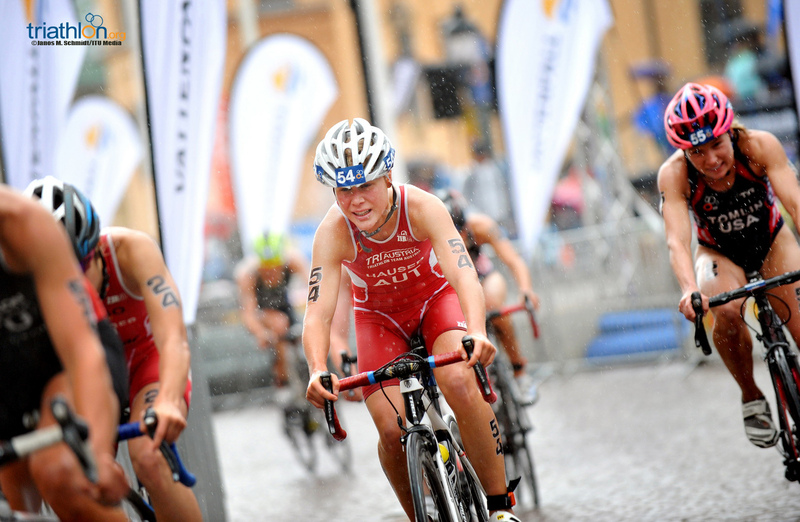 Behind them, the formerly second-ranked Jodie Stimpson (GBR) struggled out of the swim to miss both the lead and chase group on the bike. 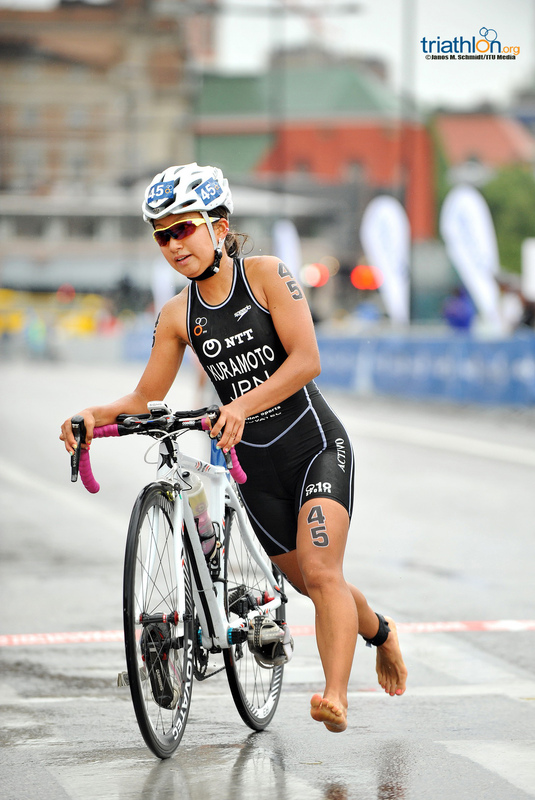 She rode solo for much of the five-lap 20km course in hopes of bridging up to maintain her No. 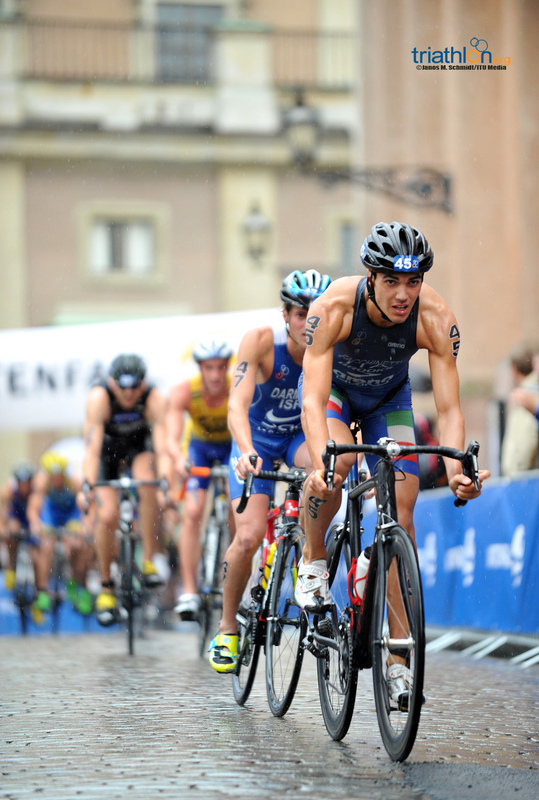 2 ranking. 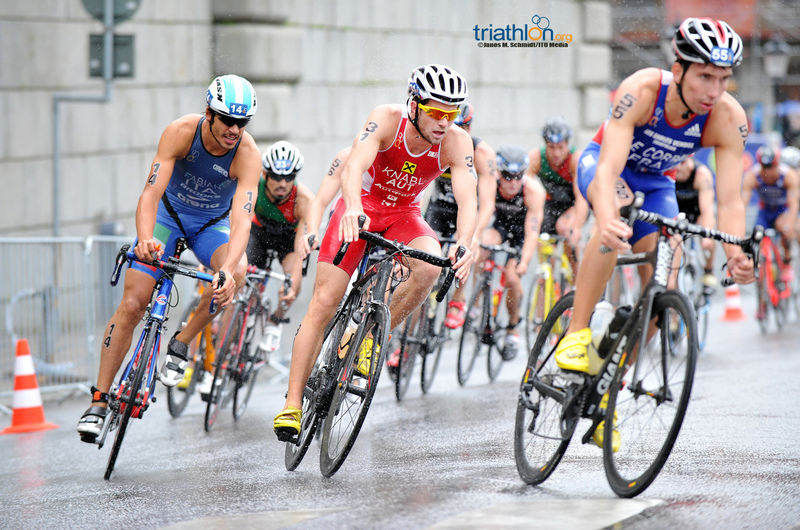 But the leaders were just too strong, with the pack working together to increase their advantage again and again as they passed in front of the grand stands. 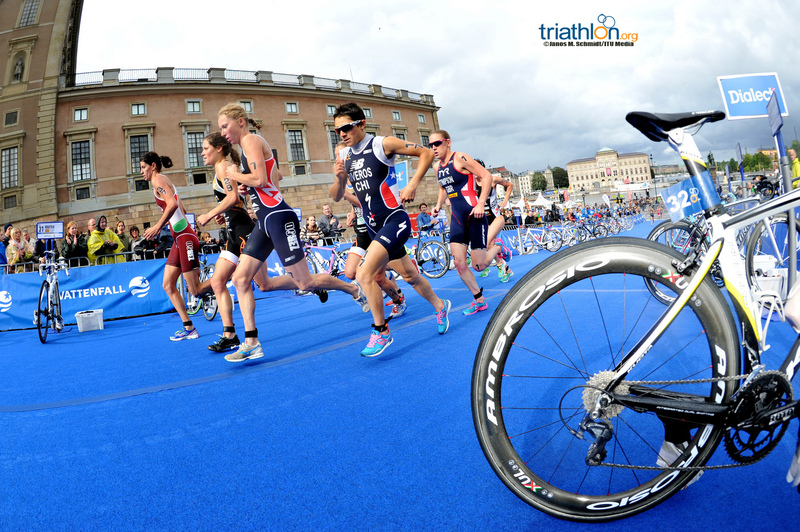 Groff dropped off her bike and hammered out of T2 just steps in front of Anja Knapp (GER) and Jerdonek. 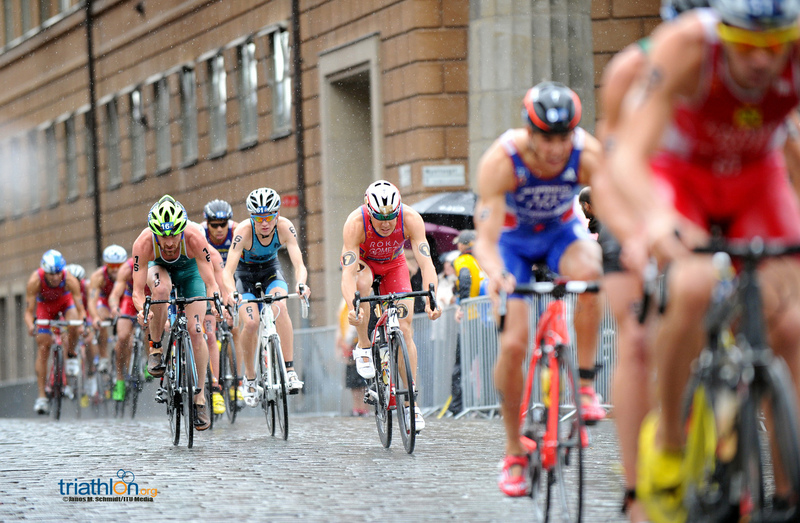 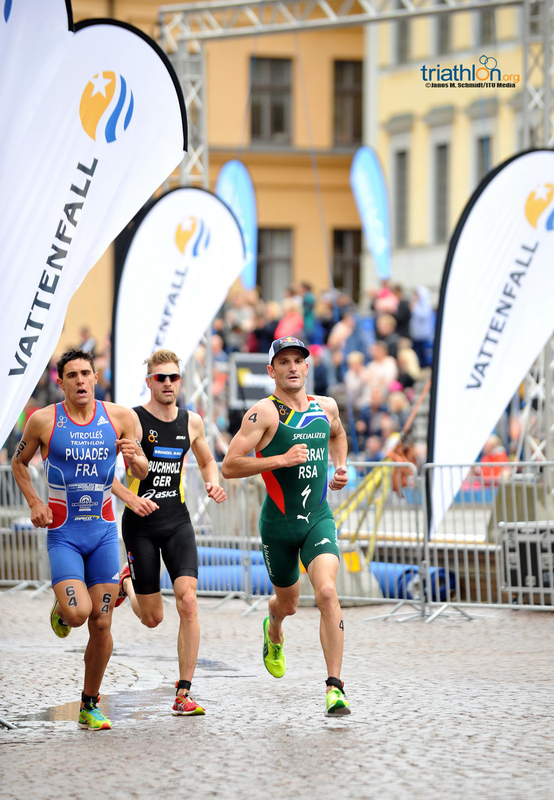 Jerdonek followed Groff for an early break on the two-lap 5km run over centuries-old cobblestones, but Jerdonek was soon overtaken by Sweetland, Samuels & Hewitt. 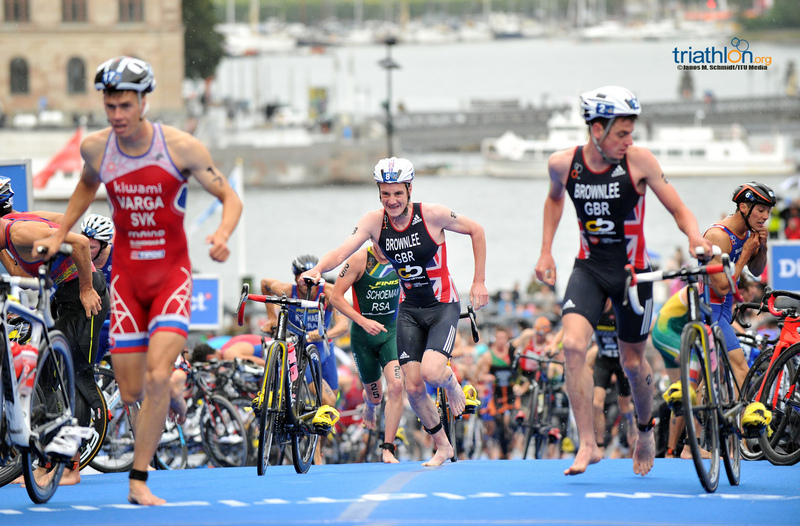 The Kiwis and Canadian ran shoulder to shoulder on the final lap, jockeying for the two open podium positions. 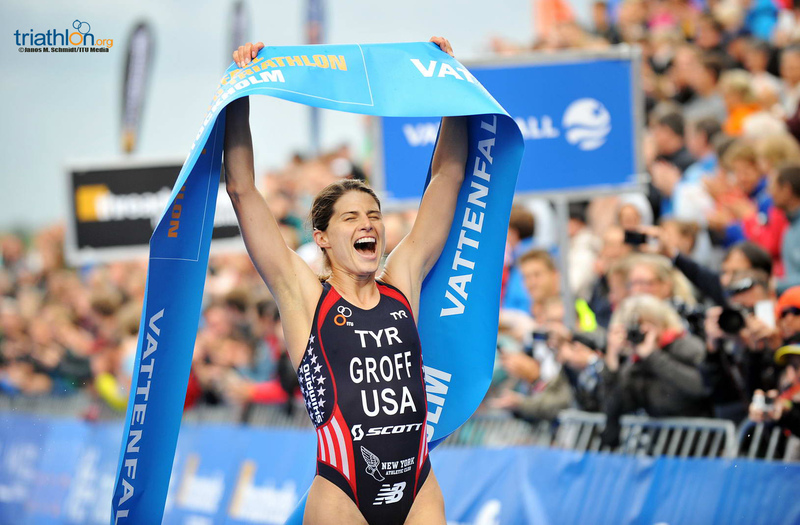 While they kept Groff in sight, she was too powerful in the end as she cinched up the win in 1:03:00. 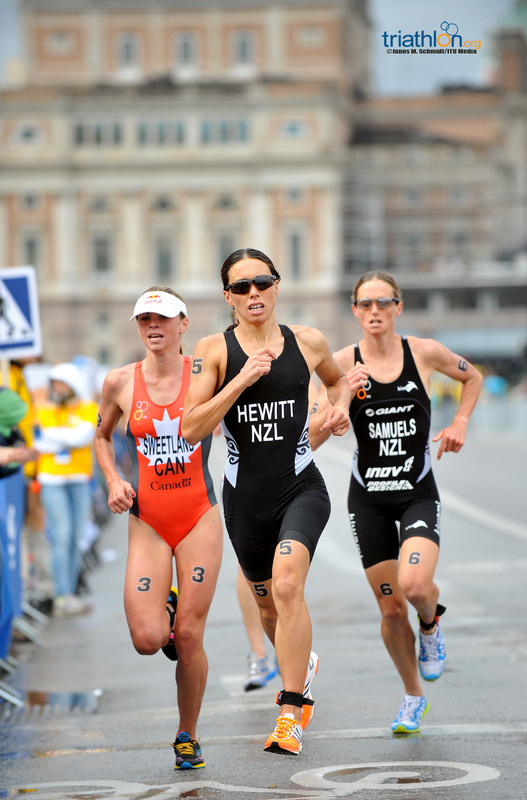 In a final kick, Hewitt crossed over four seconds later in front of Samuels, who took the bronze. 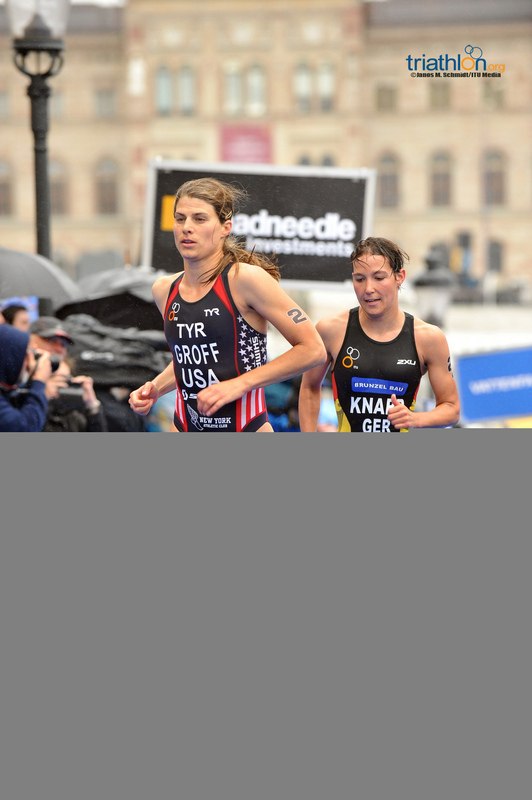 Groff’s win now puts her 55 points ahead of Stimpson in the Threadneedle rankings headed into the World Championship title race next Saturday. 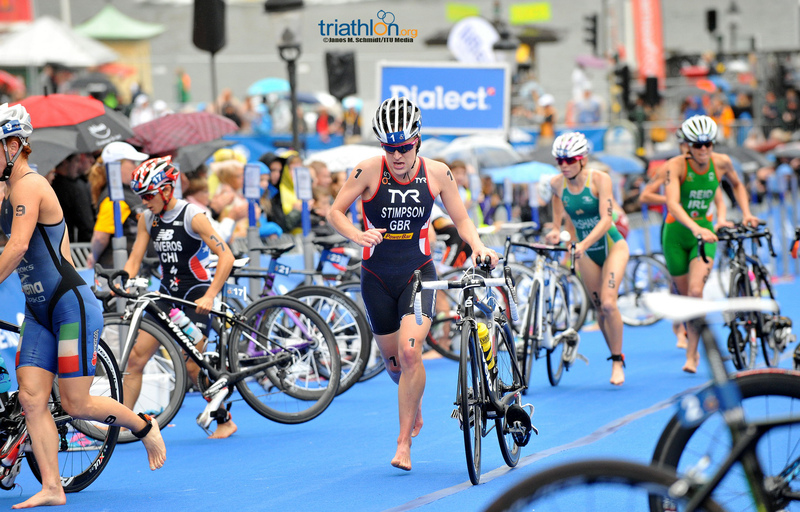 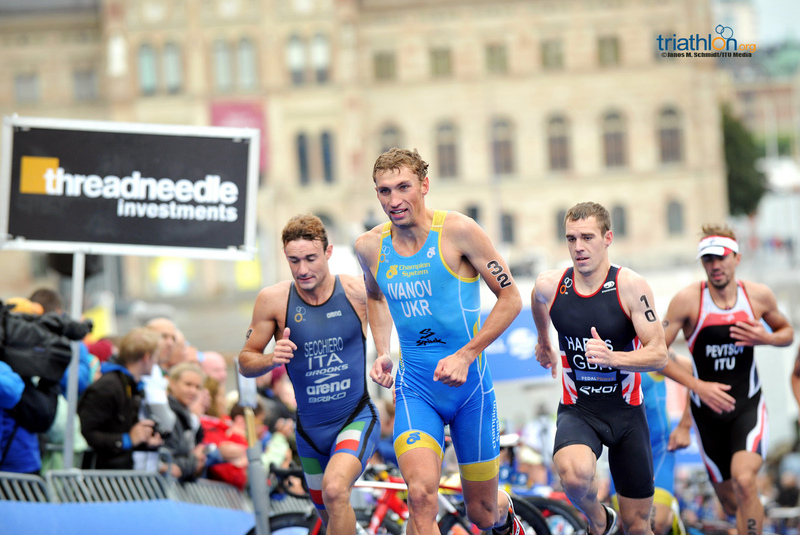 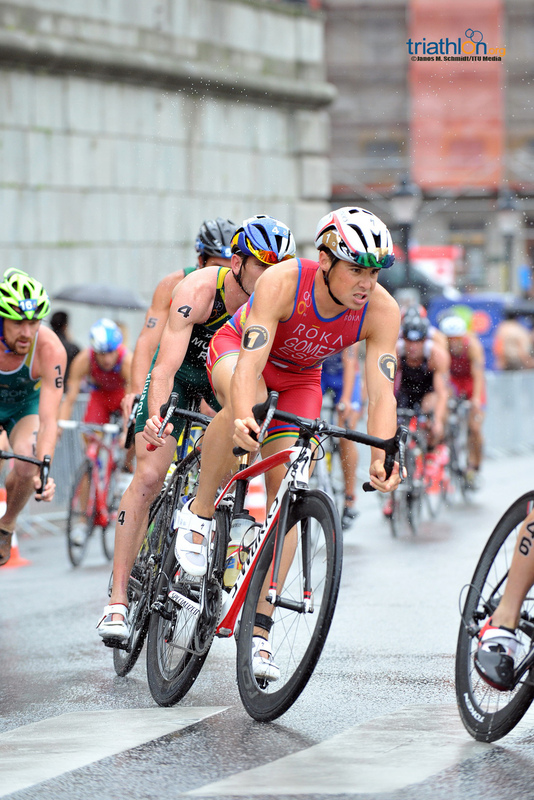 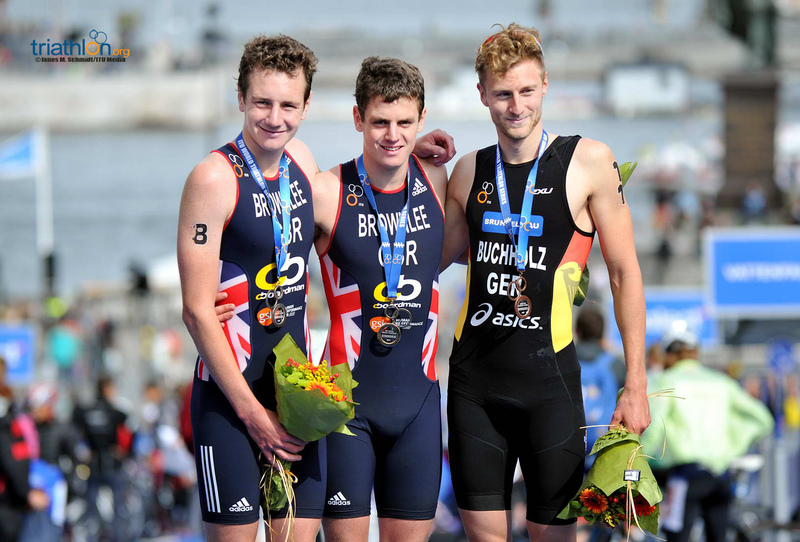 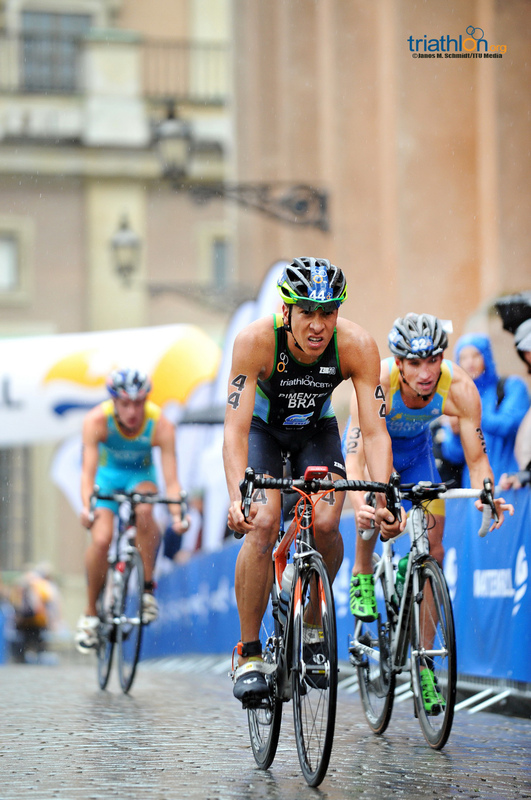 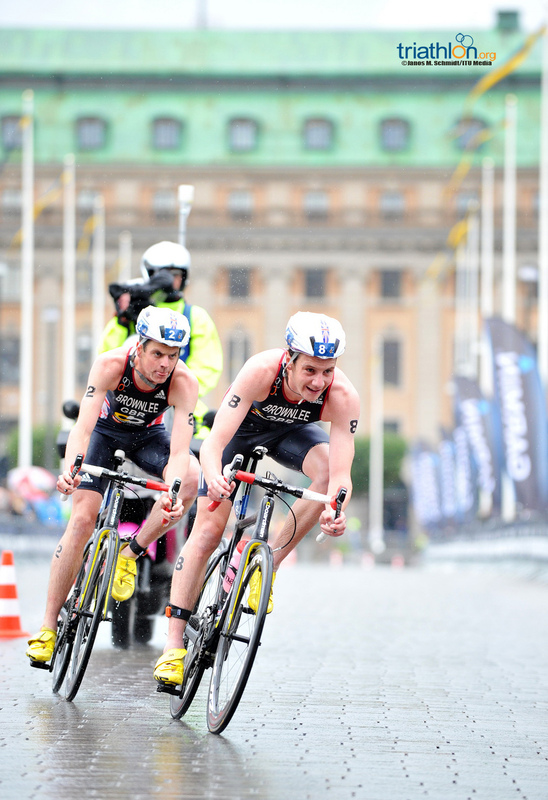 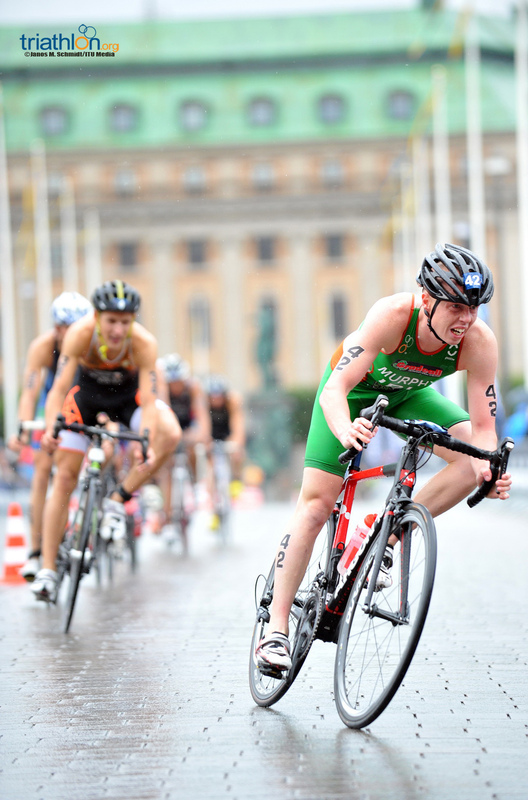 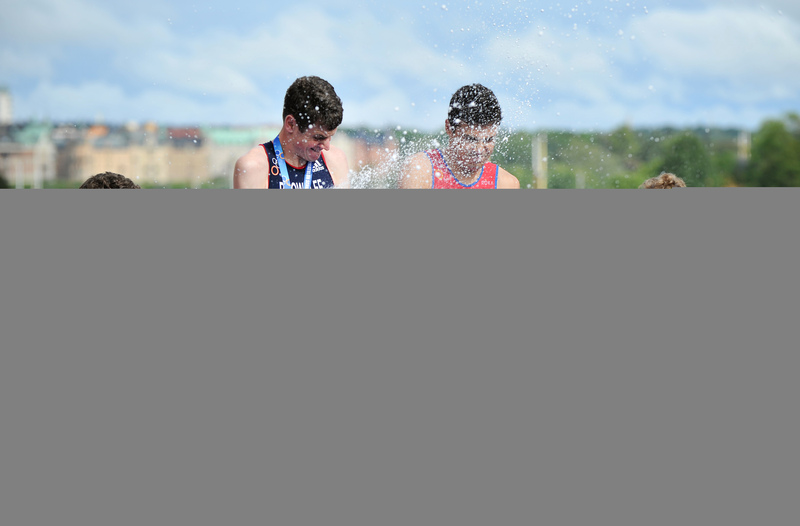 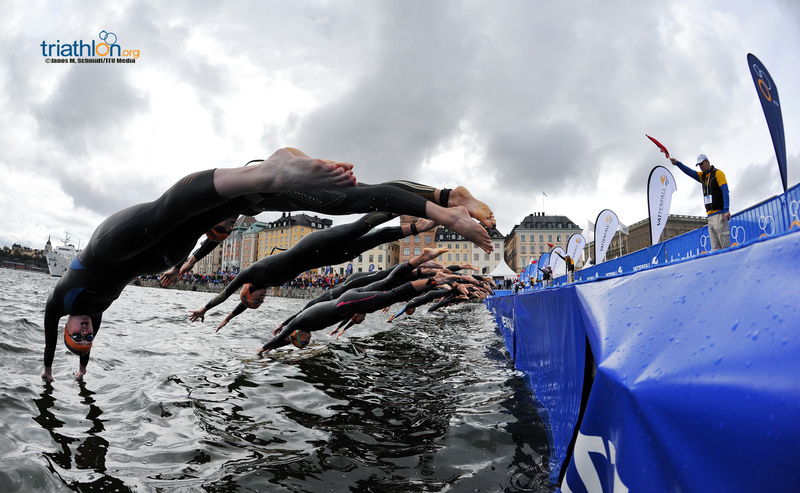 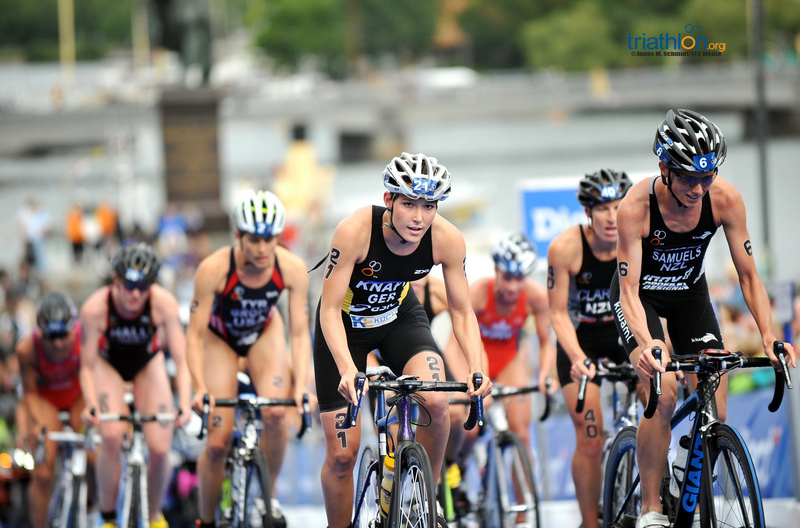 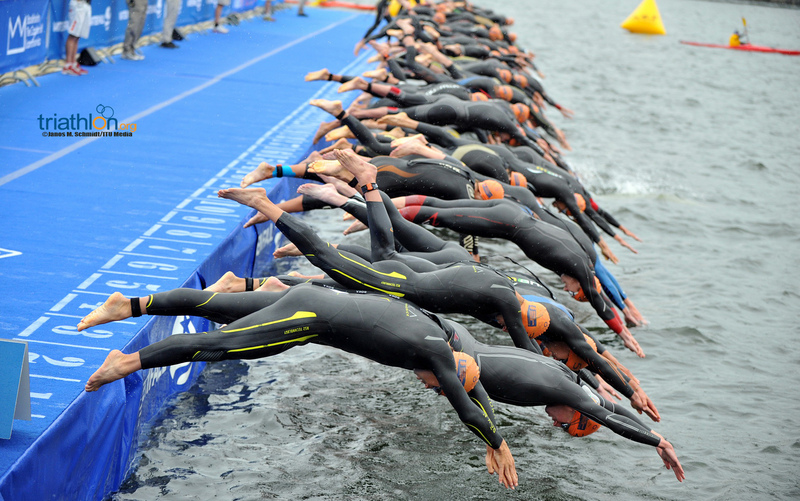 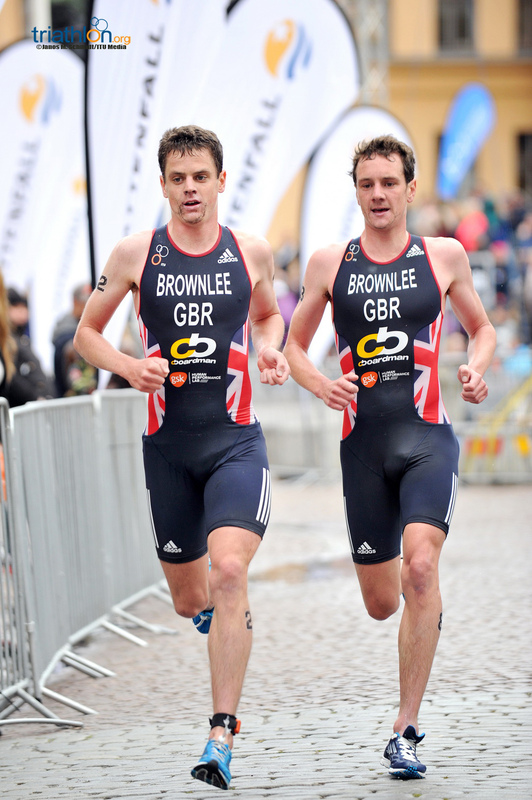 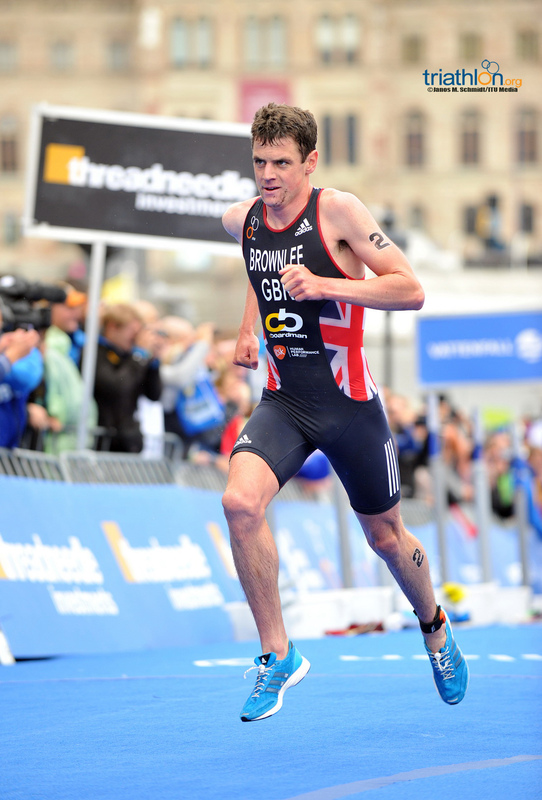 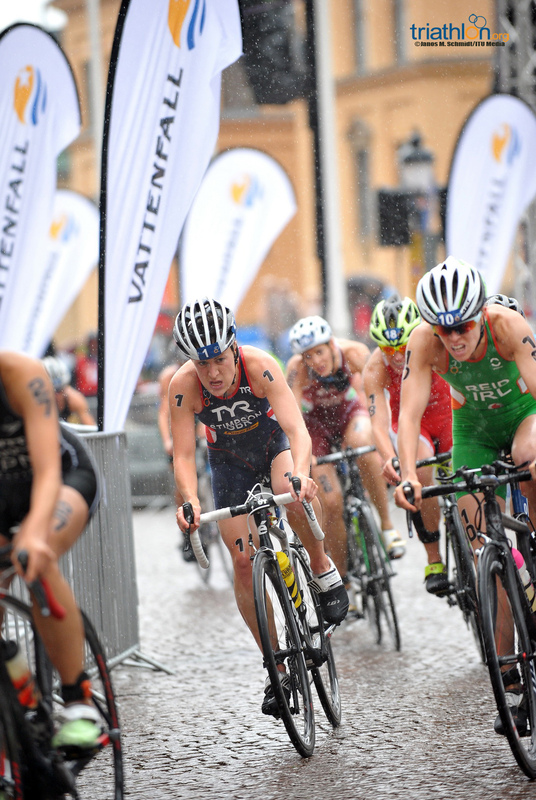 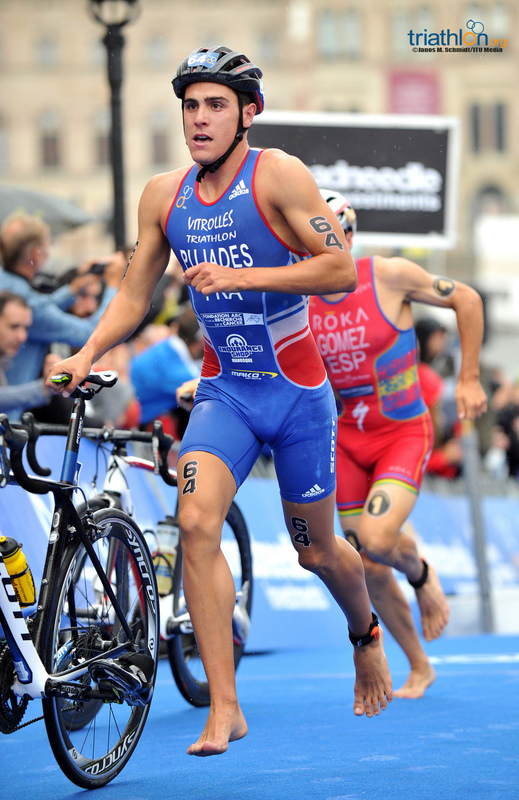 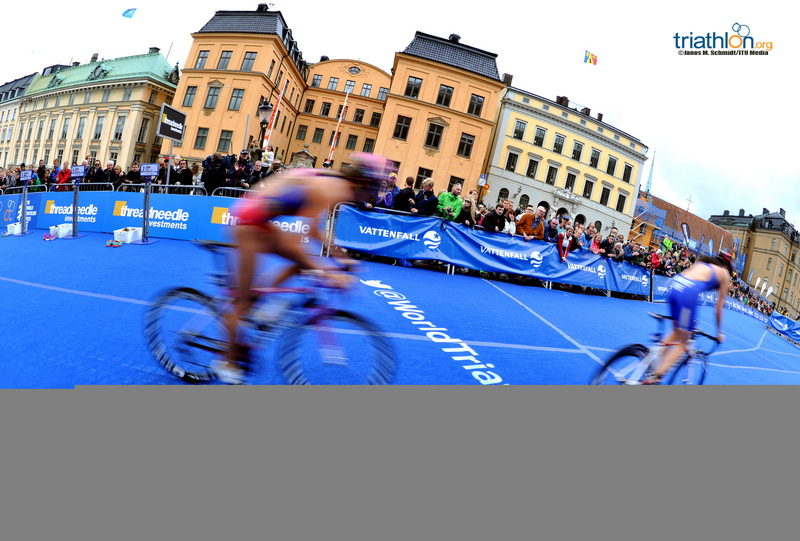 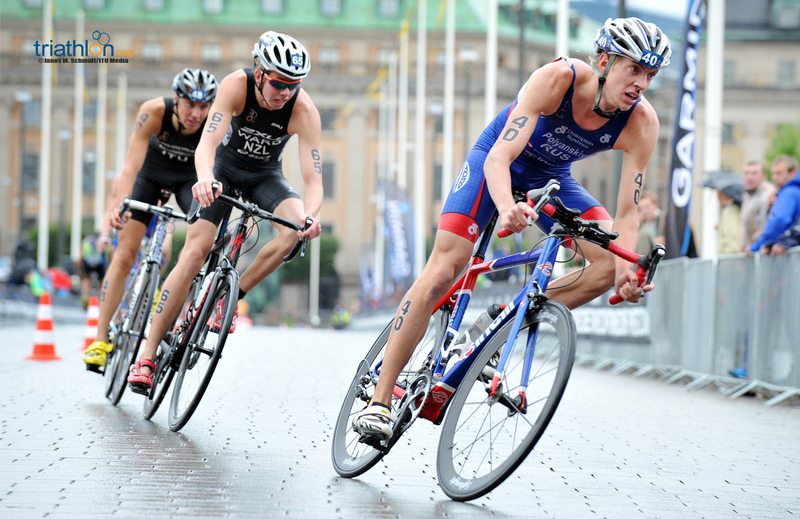 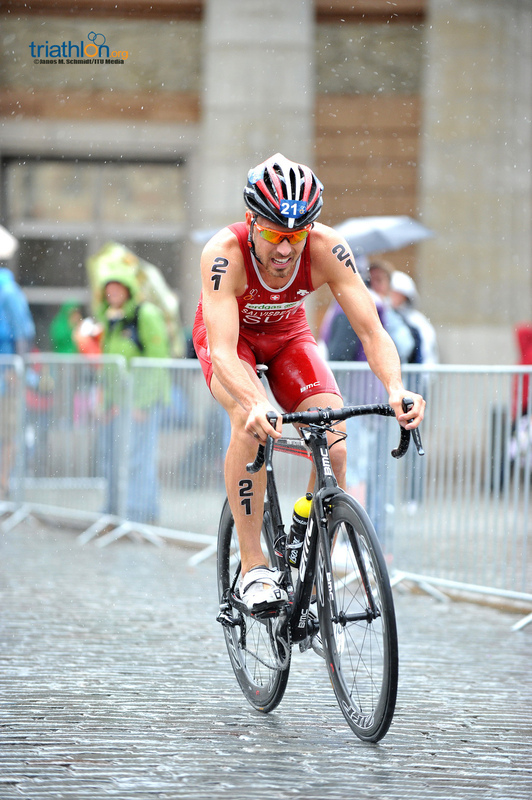 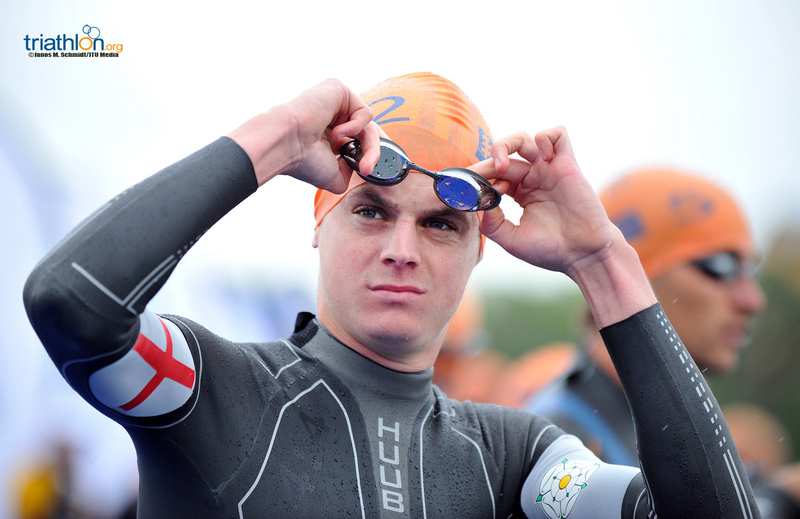 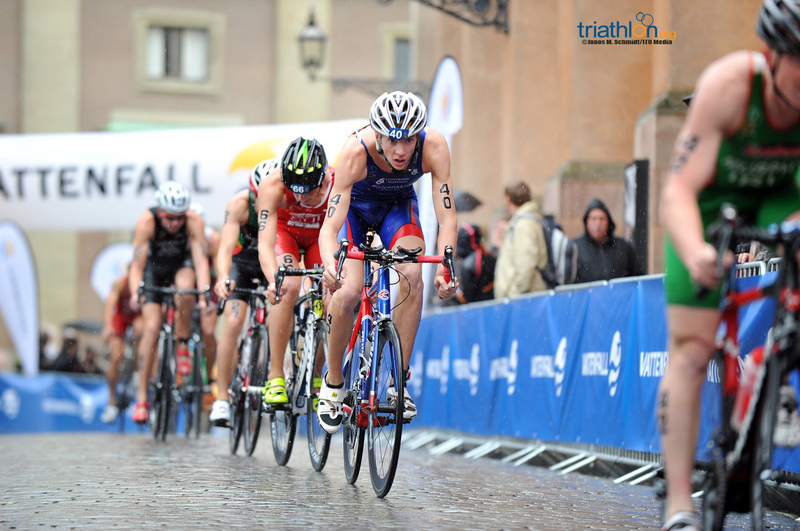 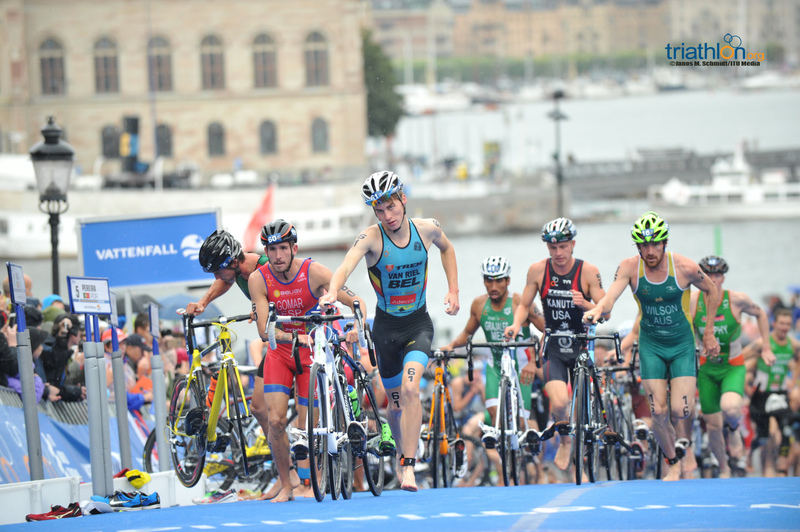 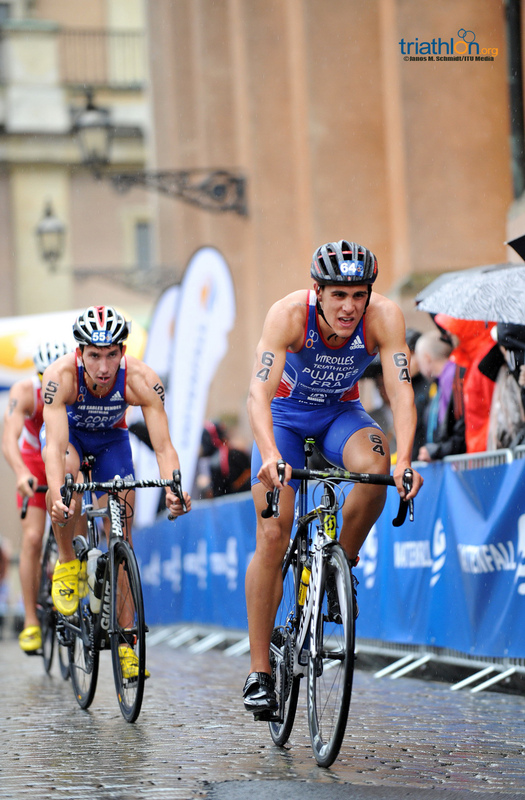 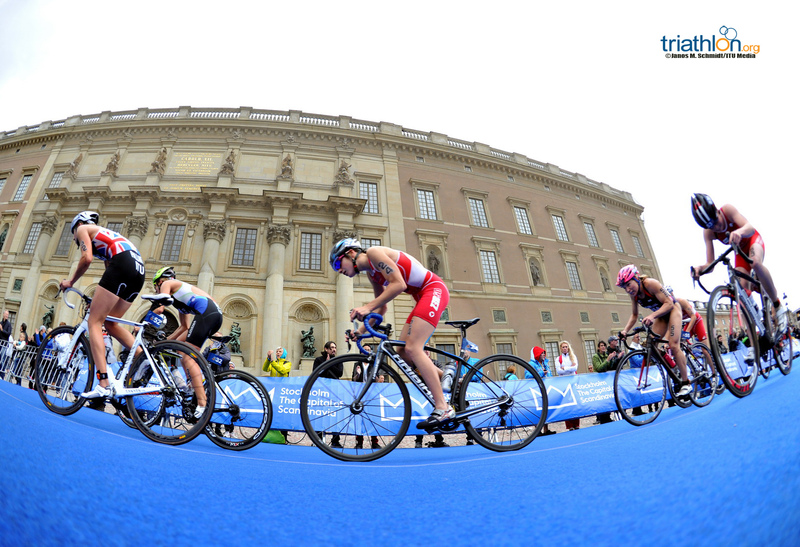 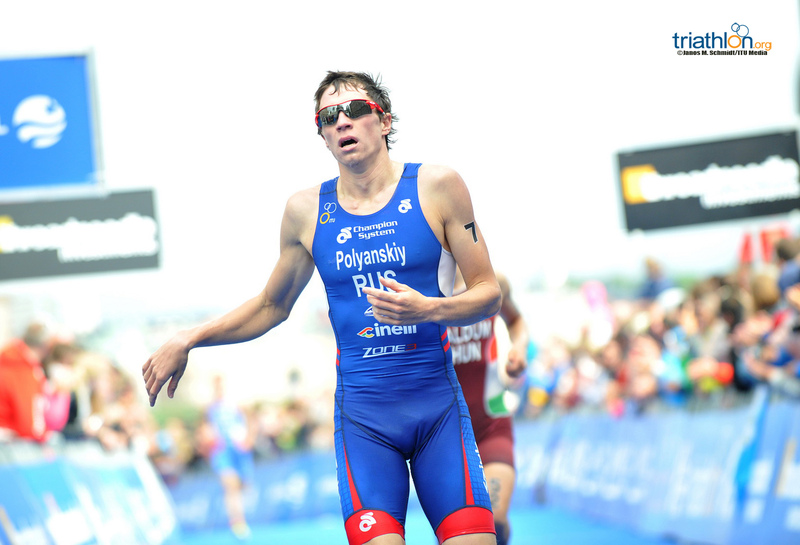 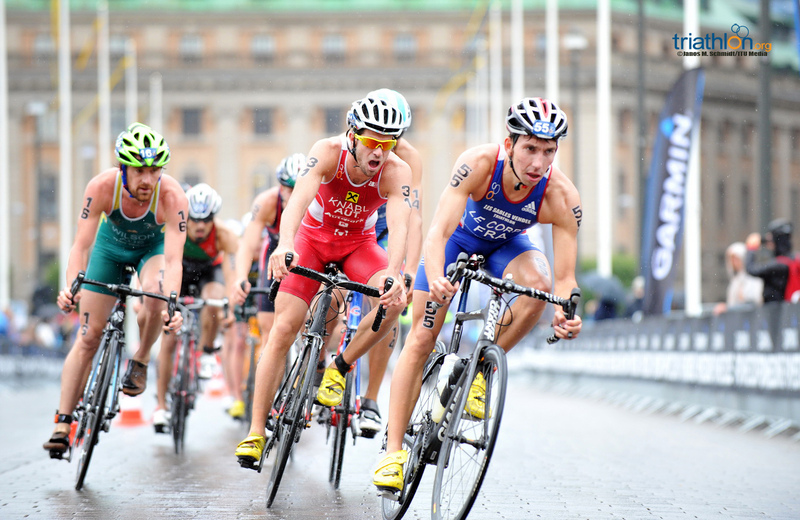 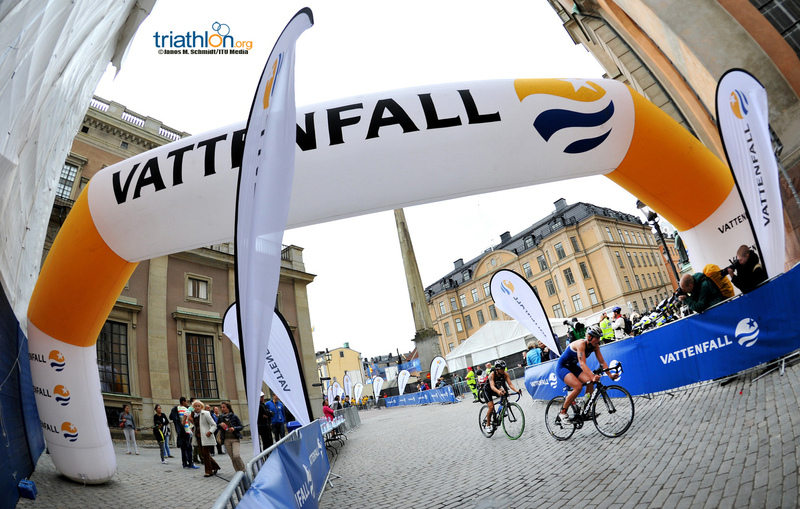 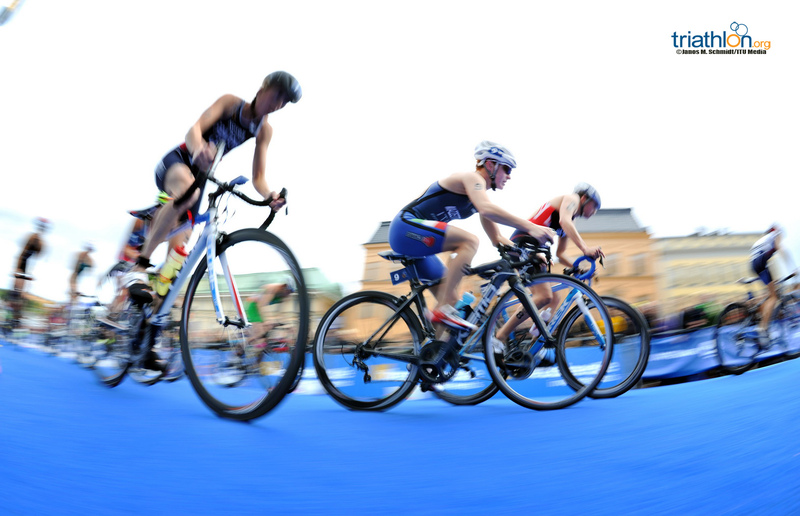 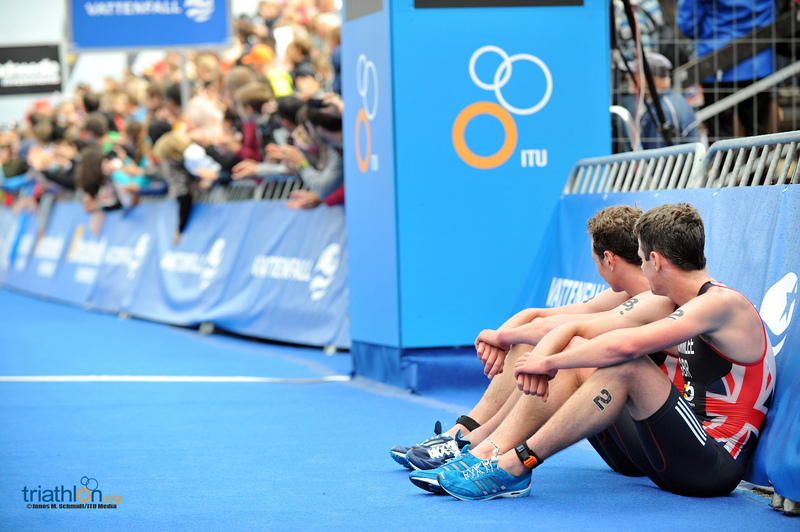 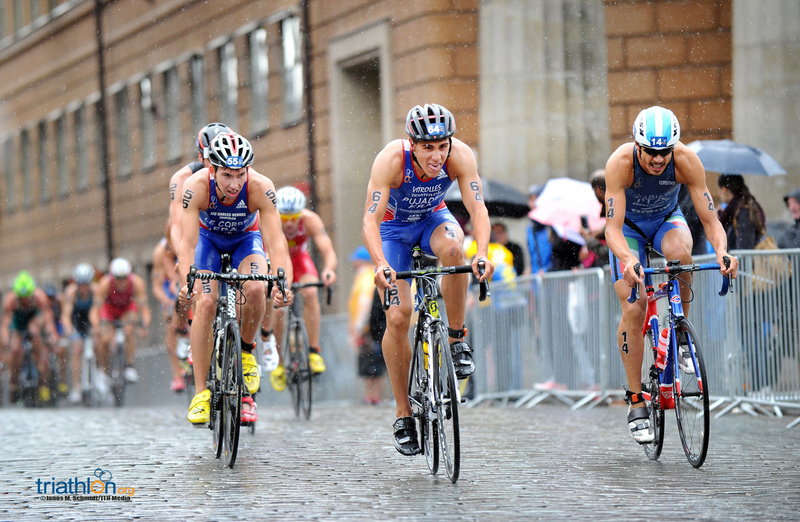 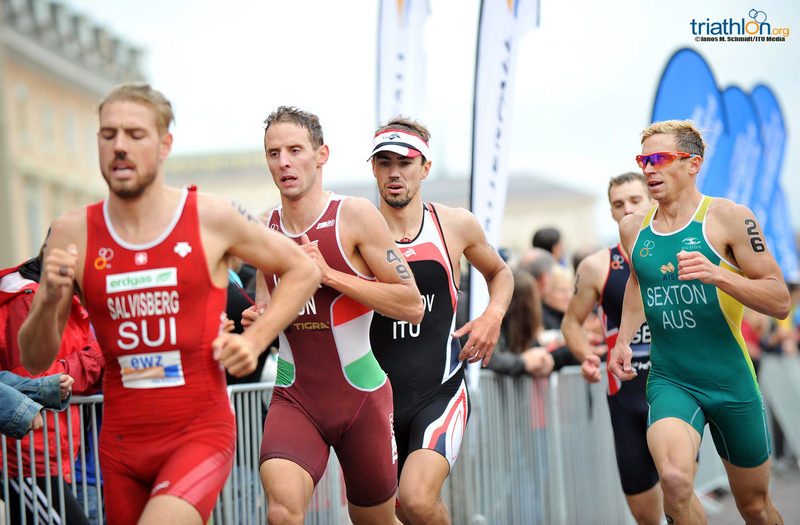 Just one week ahead of the Edmonton Grand Final, Jonathan Brownlee (GBR) reasserted himself as one to watch in the fight for the World Championship title with a win at the World Triathlon Stockholm.